Toraja is a tribe that settled in the mountainous northern part of South Sulawesi, Indonesia. Its population is estimated about 1 million people, with 500,000 of whom still live in Tana Toraja, Toraja Regency North and Regency Mamasa. 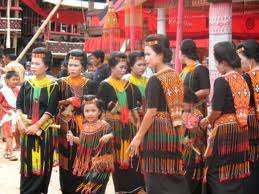 The majority of Toraja tribe embraced Christianity, while the majority embraced Islam and animism known as Aluk To Dolo. The Indonesian government has recognized this belief as part of Hindu Dharma. The word comes from the Bugis Toraja, to riaja, which means "one who dwells in the land of". 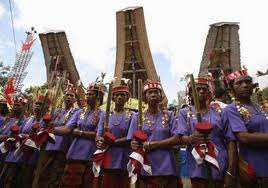 The Dutch colonial government named the Toraja tribe in 1909. Toraja tribe famous for funeral rituals, traditional house tongkonan and carving wood. Toraja funeral rituals are important social events, usually attended by hundreds of people and lasted for several days. Before the 20th century, Toraja tribe lived in autonomous villages. They still adhered to animism and untouched by the outside world. In the early 1900s, Dutch missionaries arrived and spread Christianity. After more open to the outside world in the 1970s, Tana Toraja regency became a symbol of Indonesian tourism. Tana Toraja exploited by tourism developers and studied by anthropologists. Toraja society since the 1990's experienced a cultural transformation from an agrarian society and the traditional faiths, a predominantly Christian society and rely on the tourism sector continues to increase.
. As a result, at first "Toraja" more trade ties with the outside -such as the Bugis and Makassar tribe, who inhabit most of the lowlands in the Sulawesi-than with fellow tribe in the highlands. Dutch missionary presence in the highlands of Toraja ethnic consciousness raises Sa'dan Toraja region, and this shared identity grew with the rise of tourism in Tana Toraja.Since, the South Sulawesi has four main ethnic groups-Bugis (the majority, including shipbuilders and sailors), Makassar tribe (merchants and sailors), the tribe Mandar (traders and fishermen), and the tribe Toraja (growers in the highlands).